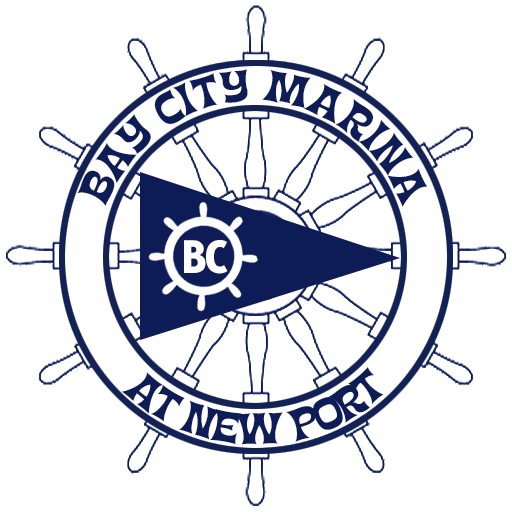 WELCOME to the fifty-second issue of the Bay City Post! 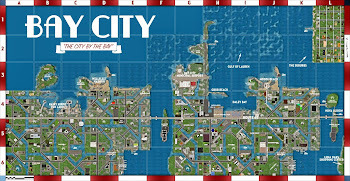 - Keeping you updated on the best city on the grid. Happy New Emu Year, postites! I love new years. It’s like a clean slate, a whole new year to get a jump on things. Some do resolutions, too, but I tend to want to clear some of the “to do” list instead. 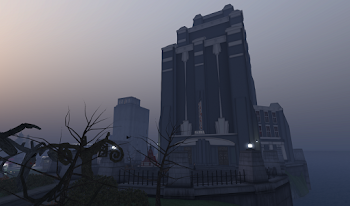 To start out the year, it’s a big action packed ish of The Post for you this time, featuring the debut of a new column by ADudeNamed Anthony called “In Other News,” an update on the tree lighting and prim drop, and all the fish wrap your Linden Dollars can buy! Here’s to a stellar 2016! All that, and some other stuff, too! NYE Party popper delivery contains fowl surprise! The Prim Drop went without a hitch. We had a capacity crowd for much of the event, and revelers there for about an hour both before and after the event. A lot of folks had fun, and many new faces showed an interest in our city. HOLIDAY EVENTS RAISE BUX FOR CHILD’S PLAY CHARITY! Between the tree lighting, the prim drop, and fund raising efforts in the fairgrounds and at the activity center, we raised a total of L$126,349, with L$101,824 coming in from the silent auction alone! The tree, created by Kriss Lehmann of Botanical with the event in mind, was brought in via helicopter in the days leading up to the event. The show itself featured local DJ GoSpeed Racer of KONA stream, followed by performers Christov Kohnke, and Grace McDunnough. All three are long-time favorites of Bay City, and kept the party going througout the lifghting and the auction. Items in the auction were donated by ADudeNamed Anthony, Pygar Bu, Owl Dragonash, Cory Edo, Awesome Fallen, Pamela Galli, Persey Garcia, Cica Ghost, Moriko Inshan, Pinco Janus, Kinnaird, Ayame Kintsugi, Livio Korobase, Flutter Memel, Merlin527, MsLaBelle Mistwallow, Haveit Neox, Bryn Oh, Hendrix Portal, Ziki Questi, Strawberry Singh, Sanura Snowpaw, Robin Sojourner, Hyacinth Tiramisu, Eupalinos Ugajin, Siris Vulpeca, Benjamin Wahl, Trinity Yazimoto, and Zen Zarco. 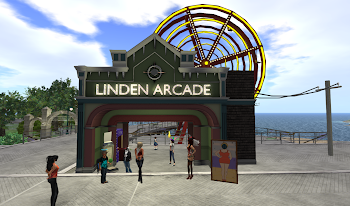 We offer a special thank you to all of the above, as well as Kinnaird and Ziki Questi for their help with the silent auction, and Linden Lab and the Linden Department of Public Works, especially Michael Linden, for their support and assistance. Our “first life” Ambassador, Rachel Seelowe, went to Child’s Play Charity’s annual dinner and fundraiser, and took a bunch of photos. https://www.flickr.com/photos/rachel_seelowe/ While there, she got a chance to briefly meet with Child’s Play staff, and shared with them what we’re doing in Second Life. The upshot? 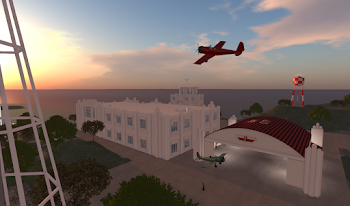 They have now visited us, and will be setting up a dedicated account to handle donations in Second Life. Hooray for Child’s Play Charity! You might say the party was a blow out! Bay City emerged victorious in the annual Linden vs. Resident Snowball Battle when, in the last moments of the fight, a number of Bay Citizens overtook the Lindens holding the red fort. As a final act, Bay City Resident Marianne McCann (Hey, that’s me!) ended up atop a Linden on the highest ice tower. Thanks to the lab for the fun and hijinks! 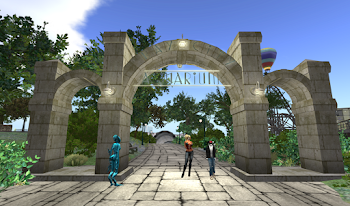 One thing strikes me as universal in Second Life, and that is the inevitability of change. There is very little here that will always exist in its current form. 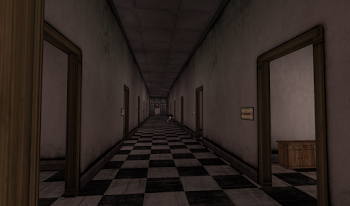 It is just as much a part of first life as well, but it's more obvious here in Second Life, where six days pass to first life's one. It's most obvious, of course, when a beloved region goes offline. Those of us who've been around for a while can regale you with tales of Nakama, or Spitoonie Island, or The Far Away, for just three examples. Mainland, of course, is in a near-constant state of flux. We lose residents constantly, whether due to first life death or simply because they find something else to pass their time. New names -- some alts, and some fresh faces -- come in and create their own place here. New friendships are made. Change comes once again. The dramas... they're temporary. We don't worry much about what happend to GOM, or the tax revolt, or all of that. They remain a part of our fabric and history, but there are other things we concern ourselves with. The technology of this world also continually changes and evolves. When I first came here -- nearly ten years ago now -- we had a different sky, It was pretty, but had a tendency to look a little brown and smoggy at sunset. There was no mesh, no materials - heck, no sculpts. Not even a flexiprim to be found except somewhere on the beta grid, I suppose. I'm a big fan of the history of this world. In it, there is some sense of permanence. That The Statue of Man existed in the alpha, or Steller Sunshine's mansion are simple facts that cannot go away. Yet that mansion is now the Governor's Mansion, and the Statue of Man now oversees a very different world. For every "Beanstalk" there is a Atlas Casino. Change is, even within our history, inevitable. So let us take a second to celebrate this place and this time we have together. Enjoy it now, and take joy in this moment.